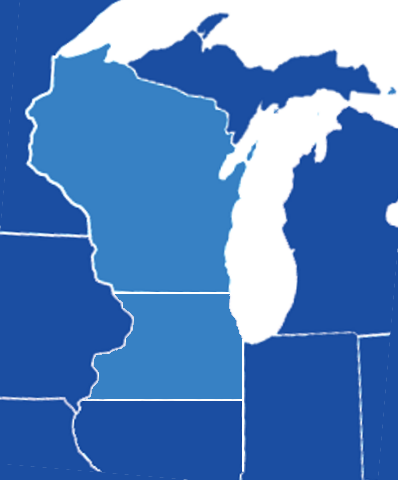 Technical Eagle Services soars throughout Wisconsin providing medical equipment repairs you can trust. Check out the map below to see if Eagle Technical Services flies near you. If you are located outside our flight path, please give us a call. If we are still unable to service your medical equipment, we will refer you to the next best medical equipment technician highly qualified to service your particular equipment. Call ETS at 262.594.2829 or 877.213.1402 today for Medical Equipment Repair Services in Wisconsin.